Britain�s bomber force at the beginning of the Second World War only consisted of around 300 aircraft and was made up of both light and medium bomber squadrons. The most capable medium bomber of the day was the twin-engined Vickers Wellington, which first flew 1936 and entered RAF service with No.99 Squadron at Mildenhall in October 1938. The production aircraft bore little resemblance to the prototype aircraft and compared to contemporary medium bombers already in service, the Wellington appeared to be much more advanced in design and an aircraft to be feared by any potential enemy. 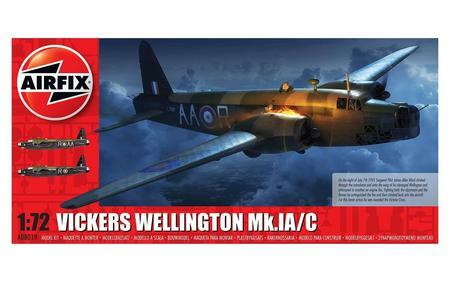 Its sleek monoplane design and heavy defensive armament placed the new Wellington as one of the most advanced and capable medium bombers in the world.